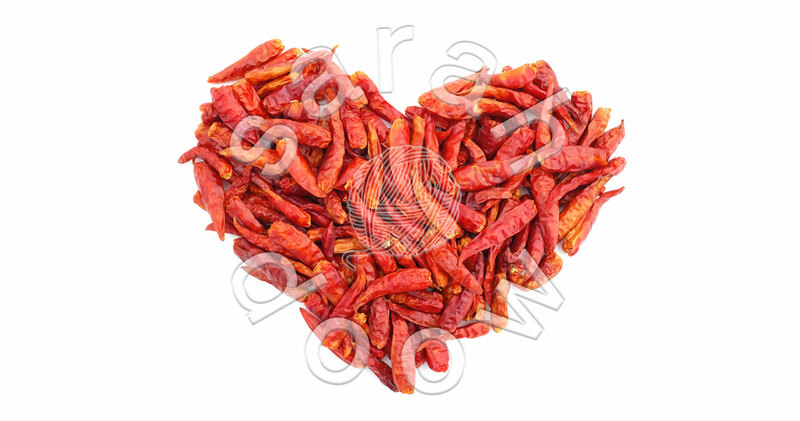 A vibrant red chilli peppers heart could be just the thing to add some spice to your decor or use in your Valentine’s Day art. This pile of fiery birds eye chillis is one of the many foodstuffs in my stock photo portfolio – and one of several where I had to be wary of what I touched after arranging the shot. I have a store cupboard full of food props, both everyday ingredients and more exotic foodstuffs. The latter often came from online wholesale suppliers, meaning I have big bags of beans and packets of chilli peppers like these, which I could never hope to use. Every now and again I rake through all my wares to see what might have changed colour, or made itself of no use to me in some other way. I think the wonderful red of the chillis is starting to fade in the cupboard now, but it’s everlasting here.